There's now a race to settle Mars. You’re not alone on Mars anymore. Since I originally wrote about Surviving Mars, the game has upgraded itself into orbit. Tons of free content, additions and bug fixes have made an already excellent game even better. 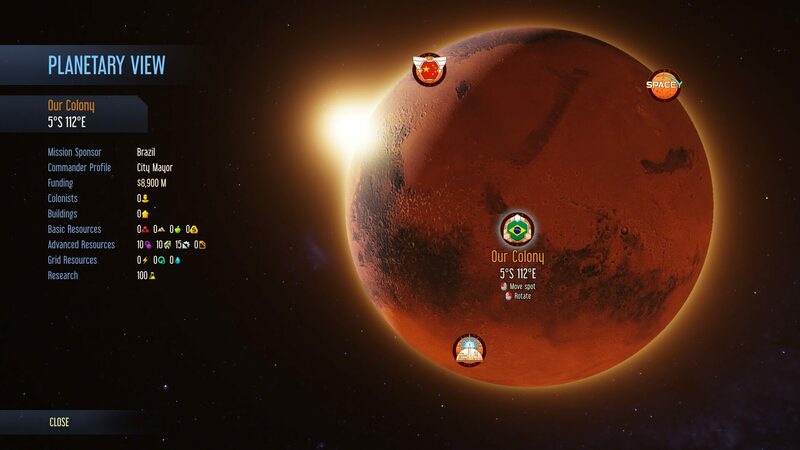 Along with the latest free (and huge) patch, Haemimont Games and Paradox Interactive have released their first DLC for Surviving Mars entitled Space Race. You’re not alone on the Red Planet anymore. Now, there are other AI-backed colonies to not only contend with, but compete against. These rival sponsors will do everything in their power to keep you from becoming Mars’ superpower. 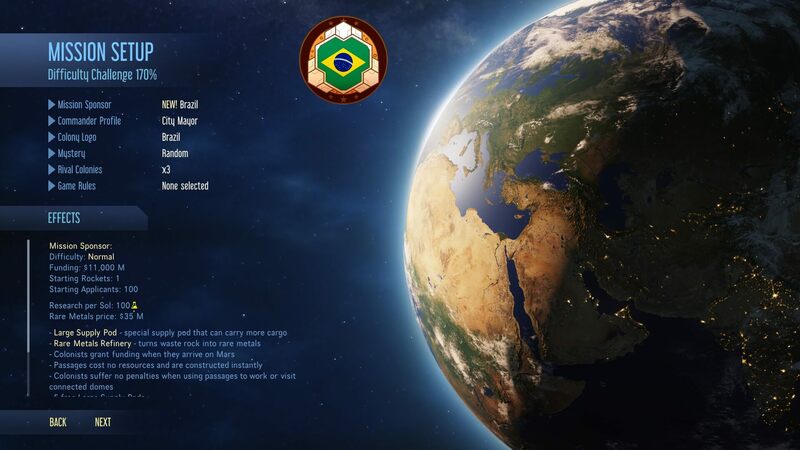 The two new factions are Brazil and Japan. I made sure to pick Brazil so I could experience this all as new as possible. Obviously, my next game will be playing as Japan. There a lot of new, interesting twists to the gameplay itself. Each sponsor has a different set of goals for you to complete. Also, each promoter has their own exclusive buildings and vehicles — strictly unique to that patron. With the rivals alone, you can trade with them, send distress calls to them, answer their distress signals and, most importantly for me, steal their important colonists. Of course, they can do the same to you, as well. Sometimes, anomalies will ‘overlap’, so you need to be able to race to get there first. 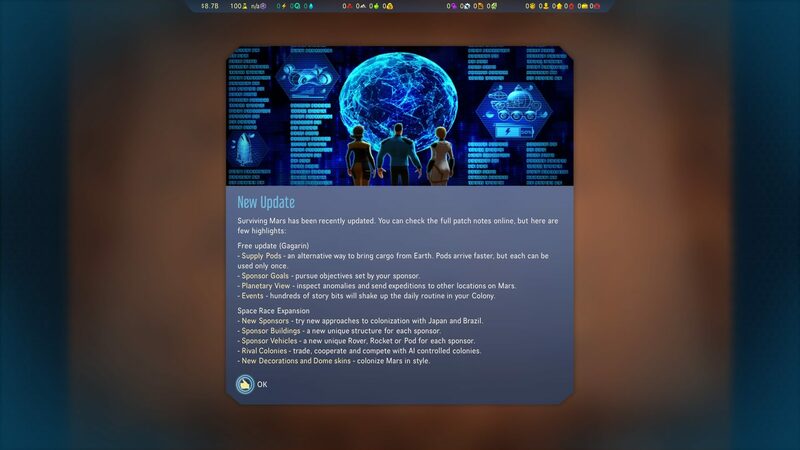 You can contact other colonies and exchange technologies or (try to) open trade routes. You can also request help or provide aid to them. The more positive things you do with them, the higher your reputation grows. Conversely, getting caught stealing from them or sabotaging their stuff will not make them friendly towards you at all. I found that getting on their good side is a lot harder than making them mad. Something else new to Space Race is ‘Events’. These are random situations that may occur and will require your immediate attention — and often, a hard decision. The events depend on your Commander Profile and Mission Sponsor — and, again, some RNG. You need both Space Race and Rival Colonies for these to fire up. There are ten new achievements, most of which need to happen by Sol 100. For a couple of examples, the ‘Space Capitalism’ achievement means you have to play as the Blue Sun Corporation and produce $100,000 million Funding before Sol 100. For the Bushido achievement, you play as Japan and train two hundred specialists before Sol 100. You get the idea. They’re all sponsor-based. Then, as has happened quite frequently to me, a huge patch came out during this review. The Gagarin Free Update Patch added Sponsor Goals — which, by completion, come with a wide variety of rewards/perks. Some of the more difficult ones are even timed. They greatly expanded the Events I had mentioned earlier. There are more than 250 individual Events and more than a hundred of them chained together in various ways. These all add to the immersion of trying to eke out survival on Mars. They expanded the Anomalies to being planet-wide, now. However, one cannot simply drive over to the far-off ones. No, you need whole expeditions that include a rocket plus drones, rovers and colonists. Once again, because you have rivals, you’ll want to get to them first — provided you have the time, money and equipment, of course. Have to know where the competition is located. The major point of Space Race was the addition of rival colonies. 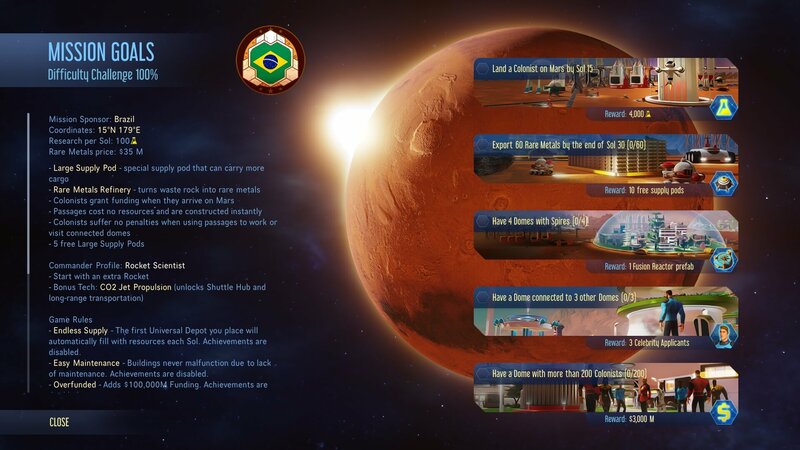 This massively changed the way to approach Surviving Mars. It’s no longer a free-wheeling, sprawling, build-wherever-you-want challenge. Now, there’s competition over all of the resources and goodies Mars has to offer. This is easily one of the better DLC for any game to come along in a while. It definitely changed my entire strategic approach. Space Race is available now for PC, Mac and Linux.